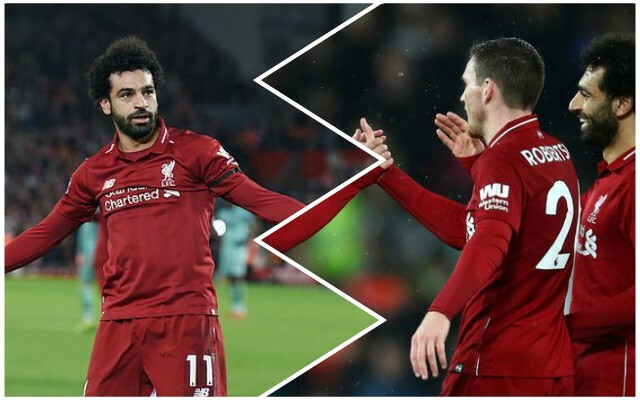 Andy Robertson says Mo Salah is not a diver – and that opposing players only dispute the decisions out of ‘desperation’. The Reds have won four penalties since Christmas Day, but had only won two in the 12 months preceding that period across all competitions. He’s spot on – the Pascal Gross foul following Salah beating the Brighton man inside the area was a clear foul that even Chris Hughton admitted he had no complaints over post-match. Opposing players simply can’t cope with Salah’s quality and are taking desperate measures to try and find a way of stopping him. Robertson added: “I’ve not seen this Brighton one back but it’s a no-brainer really for the referee. For me, it was a stone-waller. If you want an example of a proper dive, look no further than Jamie Vardy for Leicester City against Southampton – now that’s a real dive. Penalties come in cycles, it seems, and the Reds at the moment are being awarded them, but certainly not through foul play – Robertson is absolutely spot on.